Music Transcription, Engraving, Arranging and Composition Service in the United Kingdom. Located at Glasgow, Scotland, United Kingdom. http://www.pitchperfectmusicservices.com. Have music transcribed directly from audio into notated form by ear - with perfect pitch - accurately and reliably. Transform your music from handwritten manuscript to professional-looking scored sheet music to download and print. Get music arranged for any instrument or combination of instruments, from any previous combination, style or genre, to any of your choosing. Have a piece of music recorded on an electronic piano/synthesizer (Roland RD-300GX) and sent back to you as an MP3 or audio CD. Have your sheet music printed in an A4 sized - or A5 sized - book. Have a piece of music transposed for a different instrument/instruments, or into a different key, from sheet music or audio recording. Have your MIDI file converted into a musical score - or have your score or recording converted into a MIDI file/fileset. Have a transcription that you have already done - or have had done - proofread for errors. These services are intended for composers, musicians, or simply listeners interested in music, who require a professional looking, printable or printed copy of their music or manuscript. 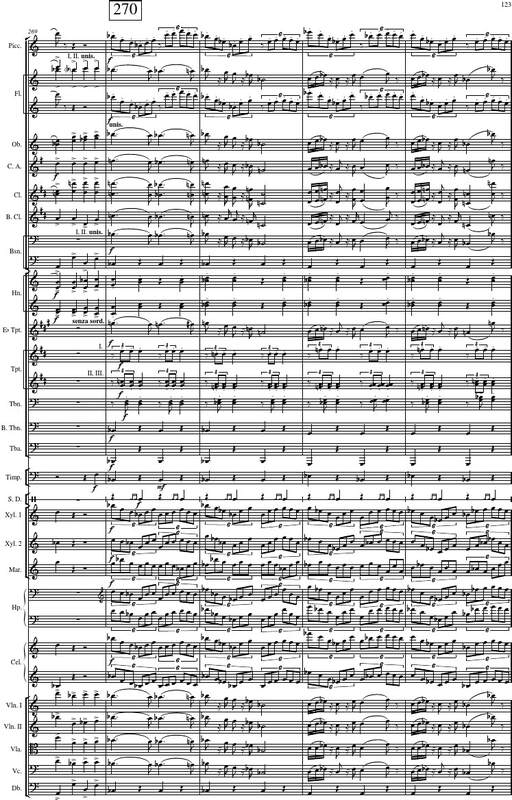 This is available using a choice of two software programs - Sibelius (premium option), or Musescore (budget option). Whether for personal or professional purposes, this service - based in Glasgow (Scotland, United Kingdom) - ensures that the end result is an accurate musical score which is representative of the piece of music itself. Any genre of music - classical, rock, pop, jazz, folk, choral and so on - will be worked with. I have perfect pitch, and so am able to transcribe or notate music from audio quickly; because prices are based on the estimated time taken to produce the work, my services are competitive in price and reliable. I will transcribe or engrave any style of music required, tailored to the customer's specifications, including the correct transposition for the relevant instrument or instruments (unless specified otherwise), arrange any song, tune or piece to be performed by any ensemble or group of instruments required (no matter how obscure), and compose music to order according to given specifications (style, genre, key, time signature, length, mood and so on). Other services include proofreading, transposition, and piano/synthesizer recordings. 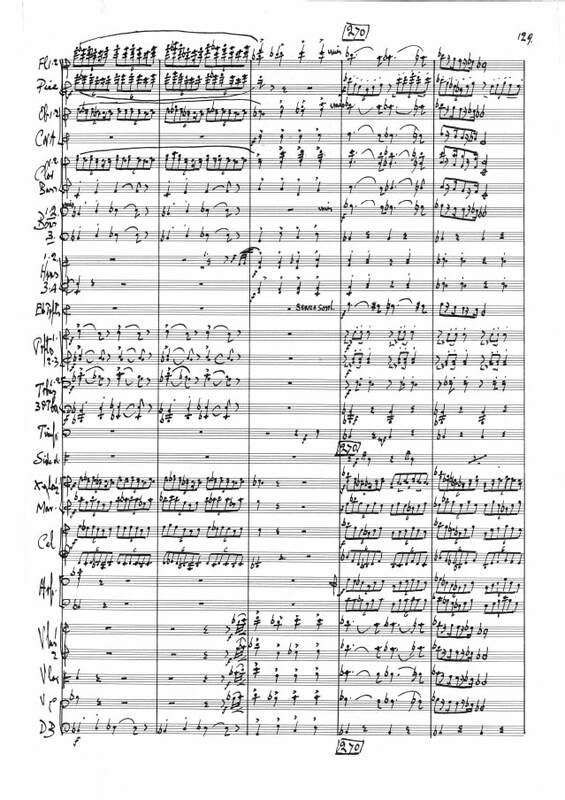 Whichever service you choose, the end result will be a printable (or printed) notated score that is true to the music - or, in the case of recordings, a clear and well-played rendition of the music in question. All completed musical scores will be sent to you in PDF form for downloading and printing, and all recordings in MP3 format. If you would prefer the score/a CD to be printed and mailed to you by post, please specify this in your enquiry and provide a postal address. Please direct all enquiries to pitchperfectmusic@live.co.uk. Music transcription is the practice of notating music to paper from its audio form, resulting in a musical score which, when performed from, recreates the original sound of the piece. An excellent and intrinsic knowledge of pitch, music theory and standard score layout is required to produce a professional-standard notated version of the music. The resulting score must then be gone through in meticulous detail so that any mistakes or imperfections may be corrected. Dynamics and articulation marks are then added (with some flexibility to allow for interpretation and according to specification), producing an accurate musical score which remains true to the composer and to the piece. The music transcription service is aimed at musicians or listeners who have a recording of some music that they would like to have printed as sheet music in its notated form for any purpose, be it for re-recording, performance, submission, portfolio inclusion, or for any other reason. Music arranging is a practice in which a given piece of music, song, tune, melody or simple chord structure is put into a different format - that is, for a different instrument/group of instruments, for a piano instead of an orchestra, a jazz version of a classical piece, a choral version of a popular song, to name but a few examples. One of the most common is a version of any song that is solely for piano, for accompaniment purposes. For a professional job to be done, the new arrangement must be recognisable as the original music, with any lyrics, basic melody and chord structure basically intact. The music arranging service is aimed at musicians, groups or listeners who want to perform, or listen to a specific song or piece of music performed, with a specific instrument or ensemble, for example for events, specific musical groups, choirs, school activities, recording, among many other purposes. Music composition is where music is created entirely from scratch, that is that it is not based on any arrangement of an existing song, it has an entirely original melody, chord structure and if applicable, lyrics. Music can be composed either by experimenting with different melodies and chord progressions on an instrument, or some composers find that music simply comes into their head without the previous step. It is arguable as to what defines a "good" composition, with opinions and tastes varying widely, although generally compositions that accurately fit their intended purpose receive a positive response. The music composition service is aimed at those who wish to commission a piece of music for an event, a video, a dedication, a mood setter, among many other purposes.